Rapid advances in science and the emergence of new technologies pose a range of pressing challenges to citizenship. They invite debate about, for instance, the nature of expertise; the framing of knowledge and research questions; processes of public participation and the notions of citizenship they assume; the processes of globalisation influencing technological development, and located responses to these. In many cases, similar technologies are now being presented as solutions to a range of problems in developed and developing countries alike, but in contexts which are very different - historically, economically, socially and politically.This programme focused on how citizens mobilise to claim rights around knowledge and expertise in relationship to science and the environment. This programme was convened by Ian Scoones (IDS) and Melissa Leach (IDS) and involved Citizenship DRC researchers from Brazil, South Africa and the UK. Leach, Melissa, Ian Scoones and Brian Wynne, eds..
Journal of Agrarian Change, 8(2-3): 315-44. Grounding Mbeki's AIDS Stance in "Rationalities"
This paper explores one case that illustrates how a particular transnational company has sought to articulate its responsibilities in relation to social and environmental issues and challenges; and how it has developed and implemented strategies and initiatives around these concepts, apparently with the aim of meeting these responsibilities and delivering its commitments in these areas. A policy briefing based upon recent research by the Citizenship DRC looks at citizen participation in science and technology debates. It examines current policy contexts, different perspectives on knowledge and expertise and looks at three case studies. Science and technology are key to tackling poverty and promoting better well-being in the modern world, as the Millennium Development Goals and the Commission for Africaâs findings underline. But how can scientific and technological advances â often played out on a global or corporate stage â translate into innovations that will meet poor peopleâs needs and concerns at a local level? How do rapid scientific advances and new technologies engage with issues of participation and accountability? And in what ways do these rapid changes challenge notions of citizenship and identity? Based on work undertaken by the Science and Citizens programme of the Citizenship, Participation and Accountability Development Research Centre, this IDS Policy Briefing argues that public engagement in scientific debates and policy processes is necessary to address how research agendas are framed and the social purposes they serve, and to ensure that poorer people and communities will benefit from them. as part of a citizen science grounded in parental experience. It tracks how the framing and strategies of parental mobilisation around MMR have developed, in relation to a growing counter-mobilisation from scientists, policy-makers, health professionals and journalists questioning their claims. It argues that the controversy involves differently-framed sciences (clinical vs epidemiological) linked to different political commitments (parentsâ personal concerns and rights as citizen-consumers vs notions of public health). Each side has nevertheless used similar strategies in deploying science, in exposing the political economy of the otherâs science, and in working through the media. Both these differences of framing, and similarities of strategy, are important to comprehending why the debate has become so heated and polarised, and why it has failed to reach closure. In M Leach, I Scoones & B Wynne (eds) Science and Citizens: Globalization and the Challenge of Engagement. London: Zed. This paper compares and contrasts the cultures of activism and illness and treatment experiences of UK and South African AIDS activists. By the 1990s AIDS public health discourse in the UK, and elsewhere in the West, was reconfiguring AIDS as a manageable chronic illness that could be treated much like diabetes. 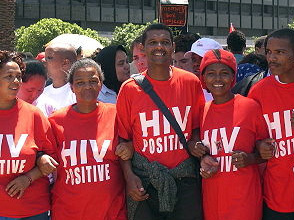 By contrast, the introduction of anti-retroviral therapy (ART) in the South African public health sector in 2000 was described using quasi-religious phrases and narratives: âthe Lazarus effectâ and âGodâs gift of life.â The paper is concerned with investigating these significant differences between Northern and Southern experiences and responses to ARV treatment. It is specifically interested in the ways in which relatively easy access to treatment in the UK has, in certain cases, contributed towards the individualisation, medicalisation and ânormalisationâ of HIV/AIDS. For example, some of the UK activists I interviewed claimed that the availability of ART through the NHS had âkilled activismâ. The paper shows how the individualising and depoliticising medicalisation processes associated with NHS treatment programmes stand in stark contrast to South Africa, where the ongoing legal and political struggles for treatment access continue to strengthen and sustain collective forms of social activism and mobilisation. The paper explores the implications of these strikingly different treatment contexts, experiences and responses. These include differences in the availability and quality of treatment and health services, infection and mortality rates, socio-economic profile of PWAs, political cultures of activism, and contrasting government and activist responses to the pandemic. In sum, individualising and normalising processes of âmedicalisationâ associated with the NHS are increasingly, it would seem, becoming obstacles to collectivist forms of mobilisation. This section presents a series of cases that draw on and extend the themes raised in the last section. They illustrate interactions between publics and science in a variety of settings, raising questions about forms of knowledge, epistemology and expertise. These cases show public engagements with science to be bound up with material struggles for health and livelihoods, and social solidarities that emerge to address these, whether among patient groups in the UK, labour unions in India or HIV/AIDS activists in South Africa. The cases consider how contemporary configurations of the state, civil society, the private sector and international organizations, as well as emergent coalitions and alliances that cross-cut these categories and distinctions, shape the possibilities of different types of citizen engagement. Debates about science and technology are central to the future of development. No recent controversy has highlighted this as much as the debates about genetically-modified (GM) crops. Looking at the experiences of anti-GM activism in India, South Africa and Brazil, this paper explores how knowledge and politics are intertwined in mobilisation processes. These interactions are fundamentally shaped by different local and national contexts of history, politics and economics, but also influenced by global connections. Through a documentation of the unfolding of the anti-GM campaigns in the three sites over the past decade, the paper shows how strategic alliances have been formed â across actors and across debates â which have allowed concerns about GM crops to be inserted into public policy debates. The strategies and tactics used by anti-GM activist networks are explored across seven âspacesâ for citizen engagement: formal, invited spaces; informal networking and lobbying; party political and electoral processes; the legal process and the courts; research, practice and demonstration sites; protest and direct action; and the media. The case studies highlight the constraints and limitations of activist mobilisation, and how alternative knowledge framings and perspectives on science, technology and policy are often silenced. The paper concludes with a discussion of the ways forward, focusing on the need to bring consideration of wider politics and values into deliberations about future science and technology options, with a move beyond standard mechanisms and processes for deliberation and negotiation about science and technology policy. the everyday economic and cultural experiences of people in these Northern Cape towns. In contrasting the relative isolation experienced by Griquatown residents with the networking and mobilisation process taking place in Prieska, the paper argues that this isolation undermines citizensâ ability to frame asbestos disease litigation as an international victory and as a case of justice being done. Instead claimants interpret their experiences in terms of local factors, including poverty, the history of asbestos payment, religious beliefs and, ultimately, in an idiom that corresponds with their ethnic identity. The paper thus suggests that neither theories of social mobilisation nor millenarian movements alone can adequately explain peopleâs emic interpretations of international litigation and political mobilisation. Rather, it is the linkages between these literatures, informed by an understanding of local ethnic identity, which provides a framework for understanding social behaviour. This article analyses the complex cultural politics of HIV/AIDS in South Africa. It focuses on how AIDS dissident science impacted on policy discourses and how AIDS activists, together with scientists, the media and health professionals, responded. It also shows how the HIV/AIDS debate and struggles over access to treatment were framed by historically embedded cultural and political interpretations of AIDS that were a product of South Africas apartheid and post-apartheid history. However, rather than adopting a cultural nationalist response to this historical legacy, activists from the Treatment Action Campaign (TAC) deployed a class-based politics that concentrated on access to anti-retroviral drugs rather than debates on the complexities of AIDS causation. This approach contrasts with attempts by AIDS activists in the United States to influence the production of scientific knowledge on AIDS directly, for example, research funding and protocols for trials. The article discusses how TAC and its partner organisation, Medicins Sans FrontiÃres (MSF - Doctors without Borders), strategically positioned themselves in the struggle for access to AIDS drugs, and how new forms of health citizenship, gendered identities and political subjectivities emerged in the course of these struggles. For example, ideas of bodily autonomy associated with liberal individualist conceptions of citizenship collided with patriarchal cultural ideas and practices that prevent many women from accessing biomedical interventions (for example, contraception, HIV testing and treatment). The biomedical paradigm that underpinned TAC/ MSF campaigns also had to contend with local understandings of misfortune and illness. While TACs strategies included networking with global civil society organisations such as MSF, Health Gap, and Oxfam, they also involved grassroots mobilisation and an engagement with local socio-cultural realities. This brand of health activism produced solidarities that straddled local, national and global spaces, resembling what Arjun Appadurai and others describe as globalisation from below. This paper continues research on citizenship, science and risk, examining the nexus between âdevelopmental expertiseâ on water management and technological innovation, and the recent developmental stress on local participation. It examines the ways in which water as a scarce resource has featured in global and national policy discourses, with particular attention to the question of the governance of water and stakeholder participation. Water as a scarce resource in international relations (IR) literature, it is argued, tends to conflate notions of community participation around regional and global resources with the management of natural resources by governments on behalf of the people. Where participation does take place it tends towards nominal representation, the principal goal seeming to be achieving parity of representation in terms of relevant âstakeholderâ criteria. The paper draws on case study material collated on participatory water resources management in Zimbabwe, where catchments councils have ostensibly aimed at âmanaging waterâ through participatory approaches that also recognise the transboundary nature of this resource, as well as the ways in which âcommunityâ identity may be more ecologically than geographically determined. ABSTRACT Urban studies scholars drawing on Foucaultâs analysis of governmentality have investigated how urban social orders are increasingly more concerned with the management of space rather than on the discipline of offenders or the punishment of offences (Merry, 2001). This paper examines the ârationality â and efficacy of spatial governmentality in post-aparthei d Cape Town, and shows how the city has increasingly become a âfortress cityâ (Davis, 1990), much like cities such as Los Angeles, Sao Paolo and Rio de Janeiro. These âglobal citiesâ are increasingly characterised by privatised security systems in middle class suburbs, shopping malls and gated communities (Caldeira, 1999). a rgumentando que a ampla difusÃ£o da preocupaÃ§Ã£o de governos e setores da sociedade civil com os problemas ambientais ou mesmo a extensa agenda de discussÃµes em fÃ³runs internacionais nÃ£o resultou em um consenso em torno de soluÃ§Ãµes. Ao contrÃ¡rio, Ã medida que se ampliou e se aprofundou o debate, os conflitos se tornaram mais agudos e as soluÃ§Ãµes mais problemÃ¡ticas do que se poderia imaginar 30 anos atrÃ¡s. Shifting relationships between science and society, and responses to science-related risk and uncertainty, are central to practices of citizenship and their expression and to questions around the subject of participation. This article reports on the preliminary phase and inception workshop of a Development Research Centre (DRC) project to explore the dynamics of citizenship, science and risk across a range of issues and settings. It reflects on the potential for cross-learning between analytical traditions that have focused respectively on northern and southern settings, and on questions of participation in scientific and technological processes, and the notions of citizenship that they imply. It then considers how the internationalisation of science and governance are shaping both the generation and regulation of technology and risks, and patterns of engagement between citizens and experts. It outlines a notion of knowledge rights in scientific decision-making which could in turn help create and consolidate other forms of citizenship rights.